ATH and electronic transaction processing company Evertec announced Tuesday the launch of ATH Móvil Business, a service that will enable small businesses to receive electronic payments in an easy and secure way in real time from any ATH Móvil user. The service is available for iOS and Android devices and offer advantages such as: designation of a unique name known as pATH, which will identify the merchant in ATH Movil, access to a dashboard in which received payments can be seen, a summary of daily sales, reimbursements of any payment received and generation of reports with transactions data from selected dates, among others. Businesses will have the opportunity to receive instant payments from more than 750,000 ATH Móvil registered users from more than 60 financial institutions, executives said. “ATH Móvil Business offers an additional alternative to receive electronic payments,” said Sylvette Ramos, ATH Network senior vice-president. The service includes a free app for business and it will have a charge per transaction that will be deducted from each received payment. 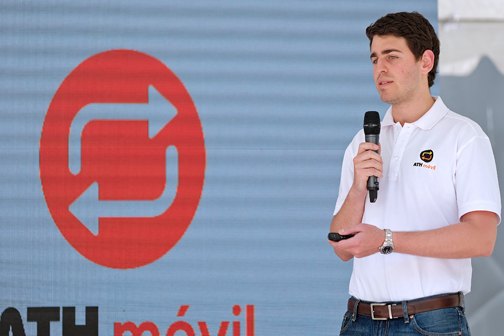 However, Gustavo Díaz, ATH product manager, said ATH Movil people-to-people transfers continue to be free, as the payments for ATH Movil Business participant merchants. “Payments for business is as simple as making a transfer. People just have to update the app that they already have, choose the pATH of the participant merchant, enter the payment amount and send the payment,” Díaz said. Businesses interested in using the ATH Móvil Business service can download the free app for cell phones and other devices with iOS & Android through the App Store and Google Play Store. To participate, merchants should be clients of one of the ATH Network affiliated financial institutions participating of this service and have an ATH debit card. For more information, visit: www.athmovilbusiness.com. Hey Buddy!, I found this information for you: "Evertec launches ATH Móvil for Business service". Here is the website link: https://newsismybusiness.com/evertec-launches-business/. Thank you.